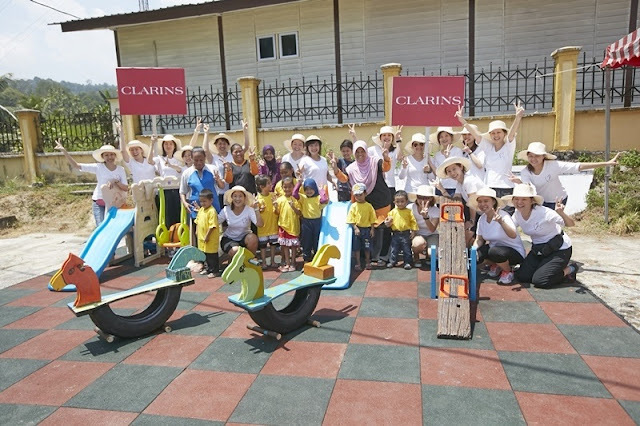 Recently Clarins bought smiles to orang asli children of Pusat Pengalak Pembaca Batu 12 Gombak, a pre-school in Gombak by providing a new playground for them. Well, Clarins Values Day this year it’s all about making life more beautiful for children and for our future generations. The employees of Clarins shared a beautiful day by painting and refurnish some play equipment in a pre-school which was previously abandoned for more than 15 years. Clarins believes that playgrounds provide an opportunity for free play that allows the child to explore according to his or her natural tendencies, and allows them to learn from one another and to interact with a wide range of age groups. It provides many skills and attributes such as balancing, agility, muscle strength, strategic thinking and gross motor skills. Pusat Pengalak Pembaca Batu 12 Gombak is a non-profit pre-school that operates by JAKOA (Jabatan Kemajuan Orang Asli). This pre-school house about 30 children age between 3-6 years old. For this project, Clarins has collaborated with Biji-Biji, an organization that aimed to minimize carbon footprint through the use of green technology, waste management methods and creative ways to reuse trash. 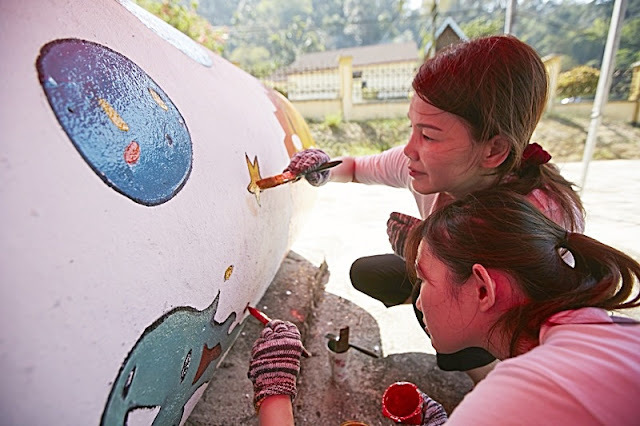 The collaboration with Biji-Biji Initiative is to develop environmental friendly playground equipment for the Orang Asli children in the pre-school, as well as to bring out the creativity of Clarins staff in painting the playground equipment. 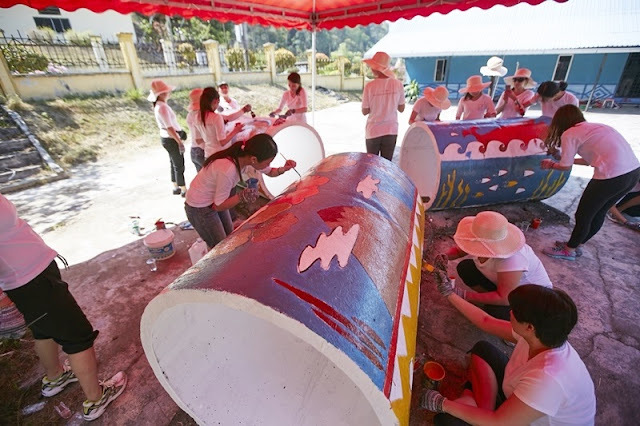 About 20 employees from Clarins Malaysia office spent a meaningful day painted the play equipment which include tyre rocker, monkey bar, cylinders and slides. I do hope maybe next year we can join them for such meaning project. Kudos to the team! A lovely and nice gesture shown to the children. Am sure they would be gappy with colourful playground.